I've always liked this sign and always wanted to photograph but just never took the time to do it. Finally, on our way back from Hattiesburg I planned ahead to stop and take a shot. 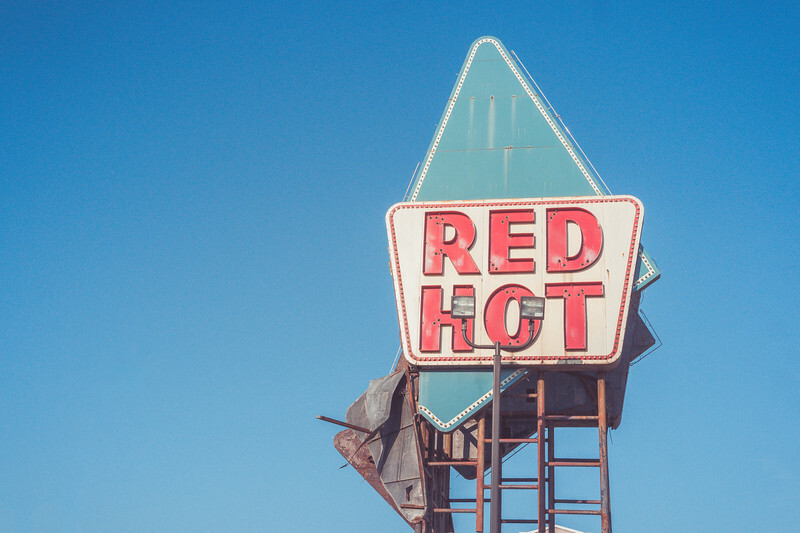 The clear blue sky was a great backdrop for it and I added a little vintage edit to really fit with the type of sign. 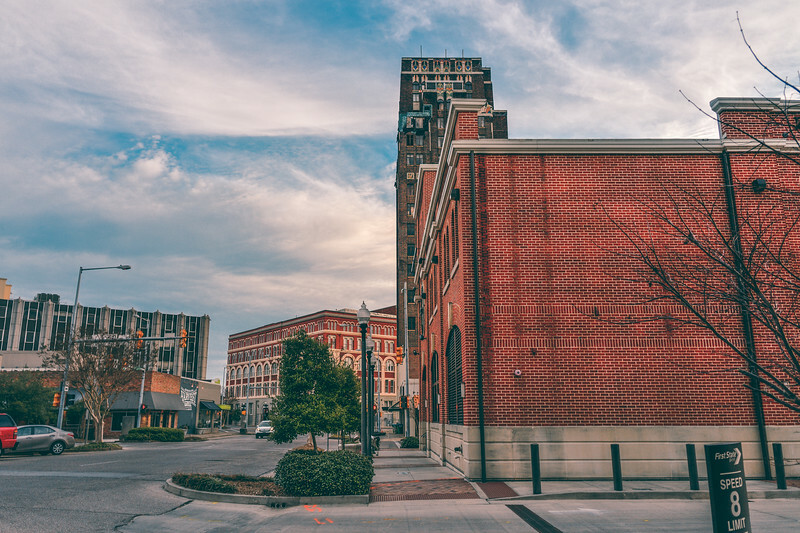 Enjoy this photo from downtown Meridian. Meridian has some great architecture, including the Three Foot Building that you can see in the center of the photo (largest building in the frame). Go check it out! Enjoy another photo from Okatibbee Lake. I went for more drama with the low vibrance and orange tones. Here is another photo from Okatibbee Lake near Collinsville. 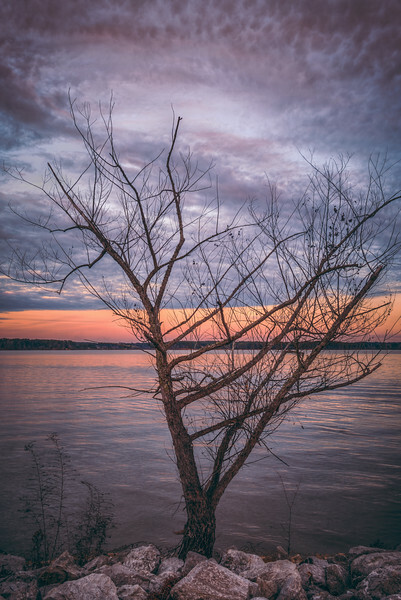 I really got creative with this photo in how I brought out the color in the sky, by highlighting the left and right sides of the photo. I just felt like having fun with it and make it relaly colorful and dramatic. Yesterday, my wife and I took a ride up near Meridian to go to a great antique/flea market on Hwy. 45. I was actually looking for old cameras, because I've been thinking about doing some film photography. Anyway, on our way back we went by Okatibbe Lake to take some photos since it was near sunset. 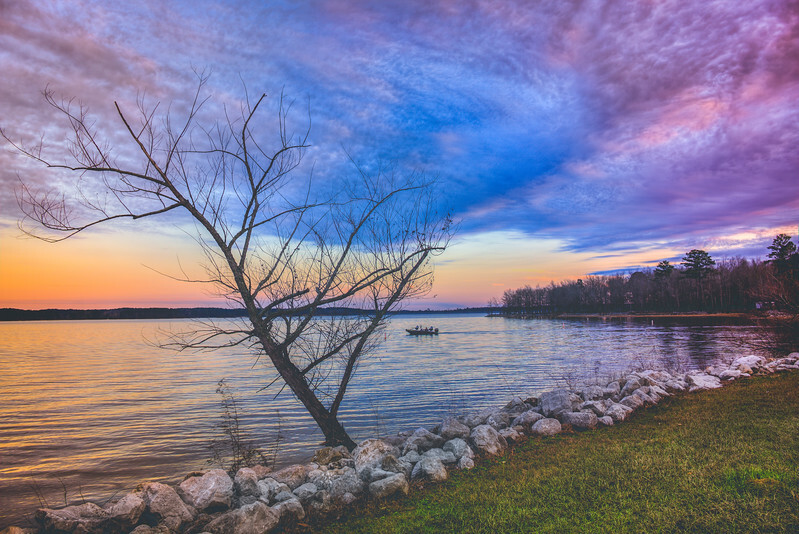 This is one of the last photos that I took on the side of the highway that crosses the lake. 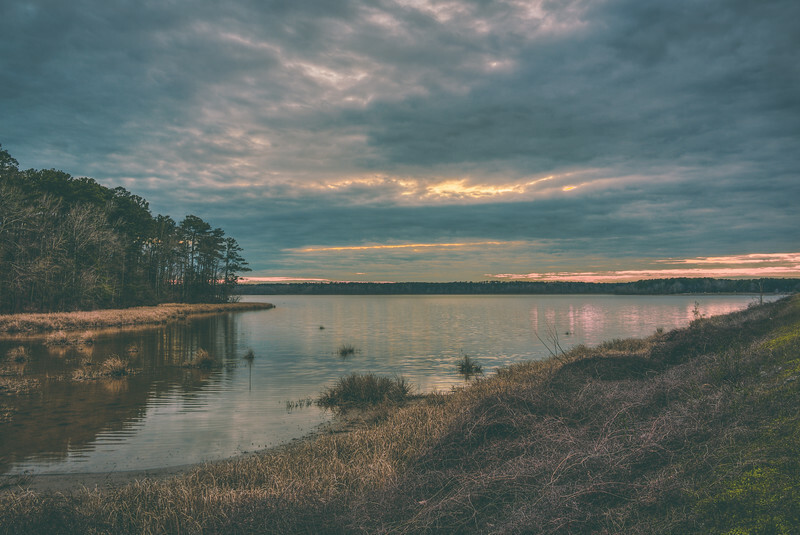 The clouds has some great textures after the sun set so it was fun to really bring those out in the post-processing. More from Okatibbee Lake coming soon. Last year I made a trip to Meridian with my wife to take some photos around the downtown area. I spotted these tracks just outside of downtown so I stopped to take some photos (it was near sunset) and this train come speeding by so I was able to get some photos of the train in motion. It's always fun to capture things in motion and see the kind of effects you get, especially with HDR when you have 3 different images. 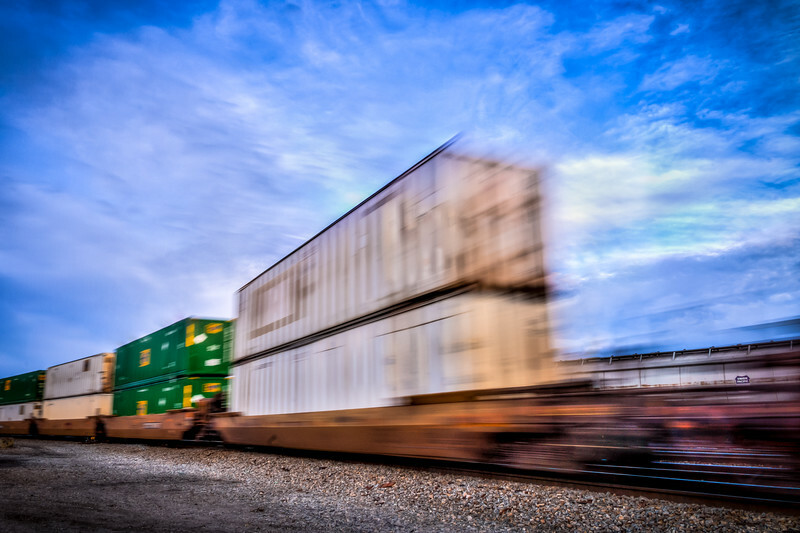 I thought this photo was cool because it captures some blurry movement of the train along with some still parts of the train and they blend together quite nicely. I'm glad I came back to this photo. If you follow facebook page here, then you may have seen that I posted my first Facebook Live video from Meridian on Friday. As we were travelling further down south we stopped to photograph an abandoned amusement park I had heard of there called Royal Land. Read about Royal Land in an article here. Apparently it was open in the late 60's to early 70's before being closed for good and sitting abandoned. 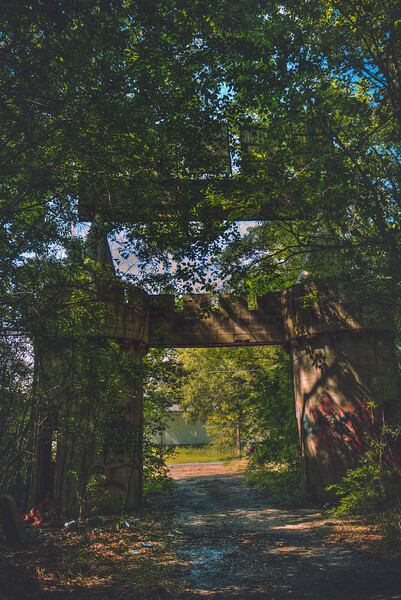 I was a little disappointed to find that the entrance was so overgrown that you couldn't see all of it very well, so my best photo was actually from behind the entrance where you could see the columns a little better and the shadows of the trees added some creepiness to it. Abandoned places like this are fun to explore and photograph and wonder what it was like in it heyday, so I am always looking for abandoned places in Mississippi to check out. If you want to actually watch me take this photo, then go over to my Facebook page and check out the video I made while taking it. As I have said before I love to photograph abandoned buildings as they are full of texture and some many interesting things, like broken, glass, peeling paint and random objects. And in HDR those things often jump out of the photograph. 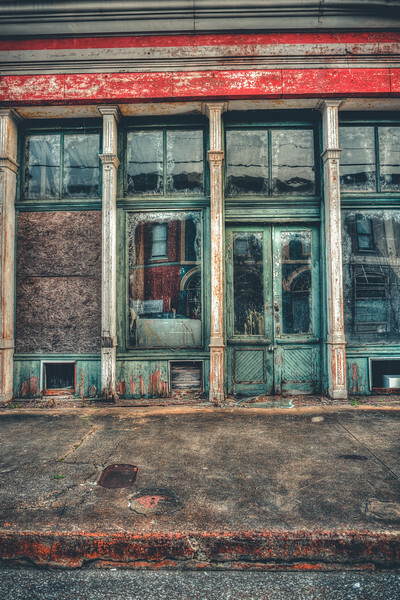 This building is in downtown Meridian and though it is abandoned and boarded up it still had a lot of color to it with the red walls and green trim. I found it so interesting. I wish I would've been able to go inside. I love to photograph abandoned places and broken things. I'm not sure why, but I think I just find beauty in those type of things as well as the questions the photographs raise about what it might have been like when it wasn't abandoned. 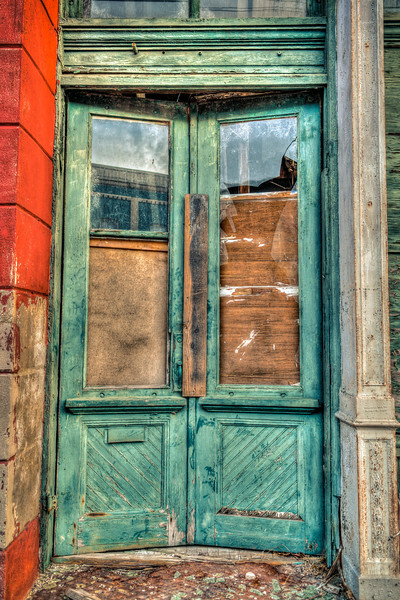 In any case, this is a broken door in downtown Meridian that I thought had some nice colors. Often abandoned places lack color, but this building was red with a green doors and green framed windows with paint chipping off. I thought it was cool. I try not to overthink it, but just take a photo of it and worry about it later. 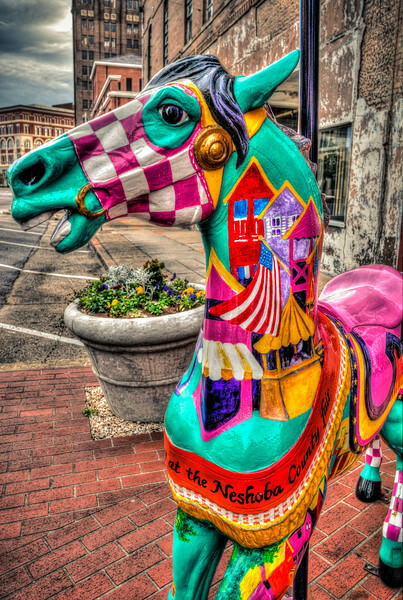 There are several of these carousel horses in downtown Meridian which commemorate the Dentzel Carousel that is located in Meridian which has been in operation since 1909 and is one of only of few of its kind still operating. More info about it can be found here.